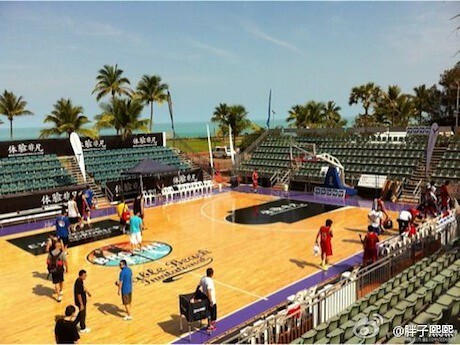 Last week Yao was in Perth, Australia to watch his Shanghai Sharks play in the Cable Beach Invitational basketball tournament for the second consecutive year. 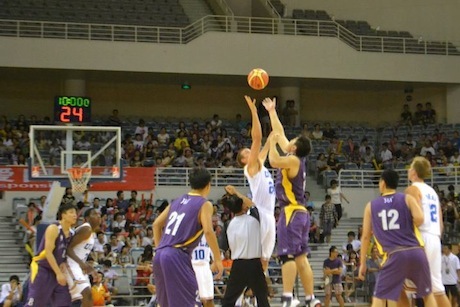 Also competing in the tourney were the Perth Wildcats, Singapore Slingers, and CBA team Zhejiang Guangsha Lions. 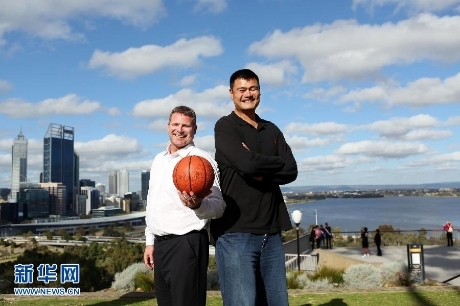 Below Yao is pictured in front of the Perth skyline with Andrew Vhahov, the owner of the Perth Wildcats. As evident through its name, the tournament is held in a unique setting: on the beach. 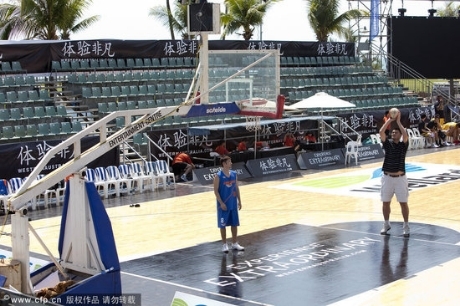 Below Yao shoots on Wednesday, 9/26, some free throws on the temporary court setup on the beach, with friend and former teammate Liu Wei looking on. Below is another photo of the court as the Sharks played the Lions later that night [the Sharks won the game). 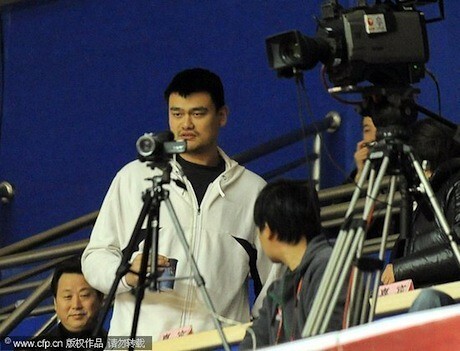 Yao couldn’t stick around for the Sharks’ final game of the tournament against the Perth Wildcats on Thursday the 28th, having to fly back to Shanghai. 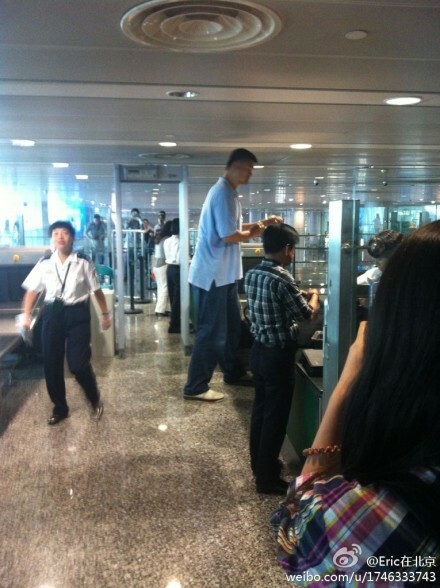 Below a few people snapped photos of Yao at the Guangzhou airport (where he arrived from Perth on his way to Shanghai) going through security just like anyone else. 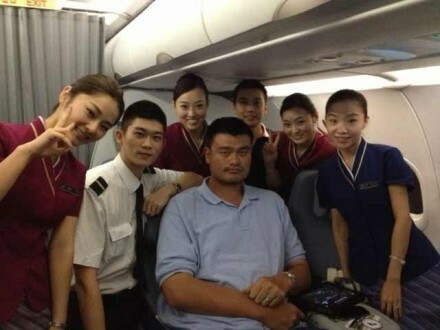 And below is a photo of Yao with some of the flight crew. 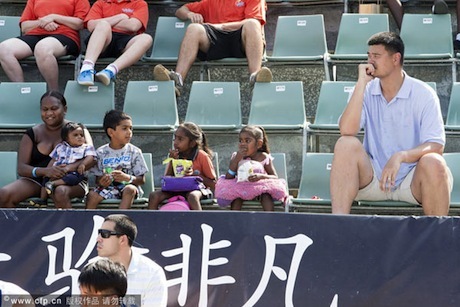 Unfortunately for Yao’s Sharks while he was traveling, they lost their game against the Perth Wildcats 71-37. 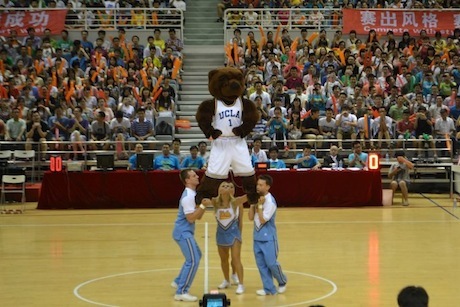 On Tuesday night, the UCLA men’s basketball team played Yao’s Shanghai Sharks on the last stop of their tour of China over the past week. 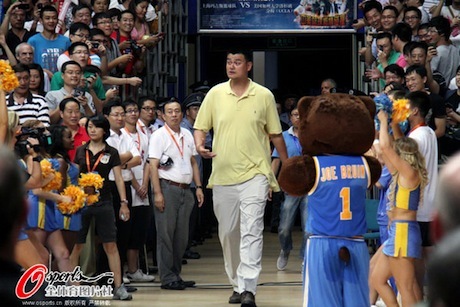 Before the game, Yao was introduced to the crowd. The top sportsbook reviews probably didn’t have odds on the game because it was an exhibition game, but UCLA won 92-63 in a game that was closer than what the final score indicates. The Sharks played without key starters, and were able to hang close into the fourth quarter before UCLA made defensive stops to pull away on a 19-2 run. You can also find more photos from the game on the UCLA Men’s basketball team Facebook photo album for the game right here. Yao Ming’s Shanghai MAXXIS Sharks won their 6th game in a row a couple of days ago in Shanghai, beating the Foshan Draglions 95-88. 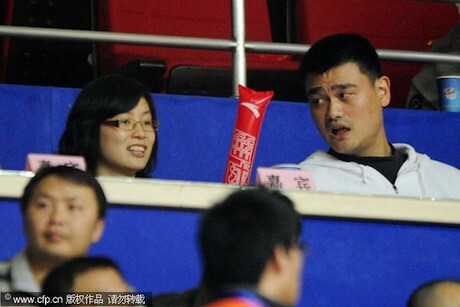 As usual, Yao and his wife were in attendance. The Sharks’ winning streak has pushed their record to 11-8 and has them tied with three other teams for the 8th seed in the playoffs if they were played today. Unfortunately, one of the Sharks’ two allowed ex-pat players, Ryan Forehan Kelly, ruptured his Achilles tendon last week. 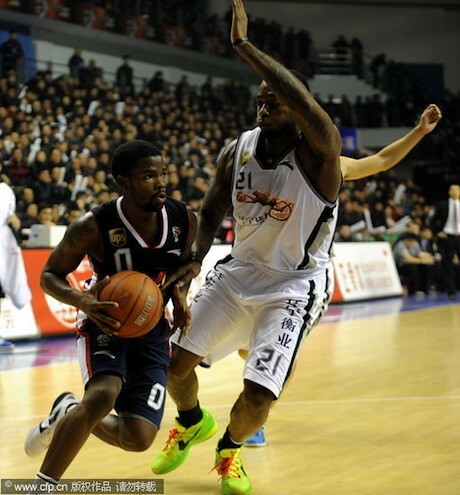 But former Rocket Mike Harris picked up the slack, scoring 25 points and grabbing 14 boards. The Sharks have signed Carl Landry’s brother, Marcus Landry, to replace Kelly. 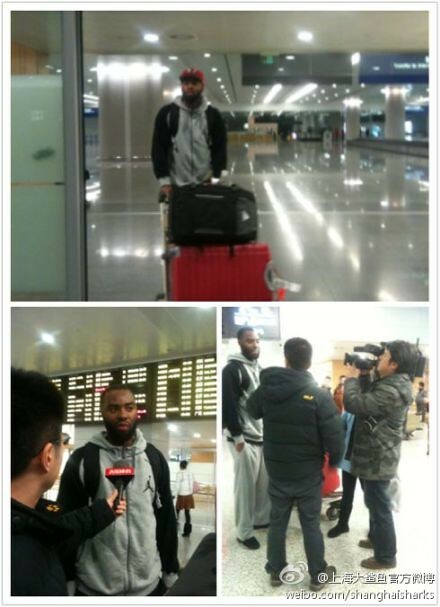 Landry arrived in Shanghai on Friday (see below). For more information about Marcus Landry’s career, click here. Yao Ming’s Shanghai MAXXIS Sharks arguably pulled off one of the biggest upsets in the Chinese Basketball Association this season. On Wednesday night in Shanghai, the Sharks beat the Xinjiang Guanghui Flying Tigers who are coached by Bob Donewald, the Sharks’ former coach who left this season for a bigger contract with Xingjiang. Yao Ming and Ye Li watch the Shanghai MAXXIS Sharks play the Xinjiang Guanghui Flying Tigers. To make things even sweeter, Donewald had raised the ire of Sharks fans earlier in the preseason when he said the Sharks weren’t very good, and that even with Yao Ming playing for them the Sharks couldn’t beat Xinjiang. It has been a tough season for the Sharks this season, who are now 3-7 and have lost their last four road games. 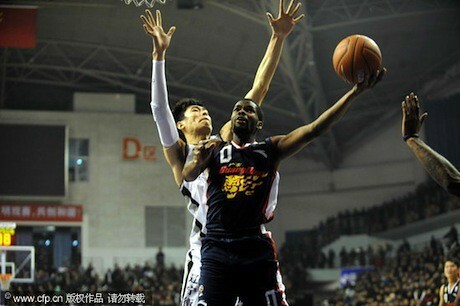 They also played against Xingjiang without their start guard, Liu Wei, because of an injury. But former Rockets’ player Mike Harris played another great game for the Sharks, leading the team with 24 points and 8 rebounds. 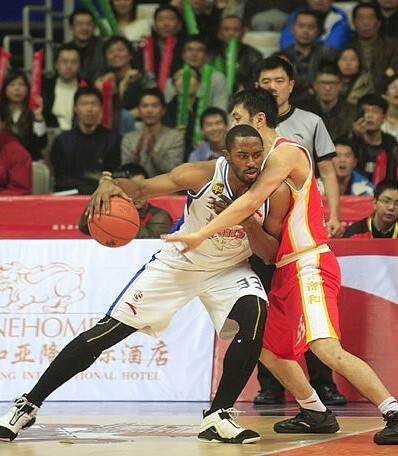 Former Rocket Mike Harris posts up for Yao’s team, the Shanghai Sharks. 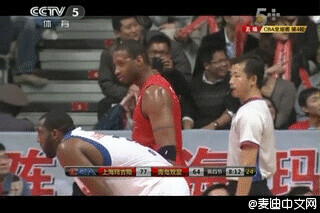 Xingjiang was led by two former NBA players (no wonder this loss was an upset). Patty Mills, who played for Portland the past couple of seasons, scored 22 points (10-of-14 from the field), grabbed 7 rebounds, and had 3 assists. Mills scored 14 points in the third quarter, but was invisible in the fourth quarter. 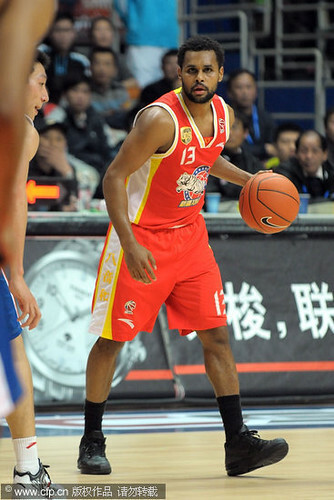 Former Portland Trailblazer Patty Mills. Former Denver Nugget Kenyon Martin played one of his best offensive games of the season, scoring 20 points (9-of-16 FGs) and grabbed 8 rebounds. Click here for more game details, and here for more game photos. 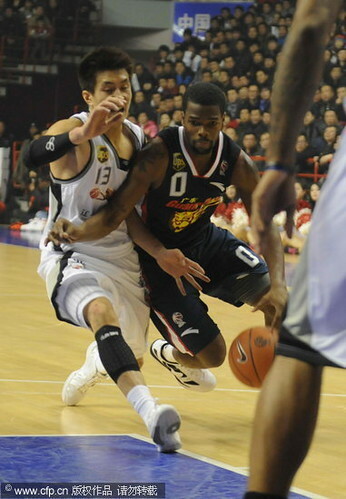 Meanwhile, on the same evening in a different game, former Rocket Aaron Brooks had another standout game for the Guangdong Dongguan Bank Hongyuan Tigers, recording his second consecutive double-double in scoring 21 points (5-of-7 3-pointers) and doling out 10 dimes. It’s strange to see Aaron in a Chinese uniform playing for an all-Chinese crowd. Brooks signed a $2 million contract (pretty big for the CBA) back when it looked like the NBA wouldn’t be having a season. Brooks can’t opt out of his contract in China, but the CBA regular season ends in February, which could give him enough time for him to sign-on as a free agent for an NBA team this season. However, because his team is doing so well and they are expected to play deep into the playoffs, he could be playing in China into April. That could make it difficult for him to sign with an NBA team before their rosters need to be set. 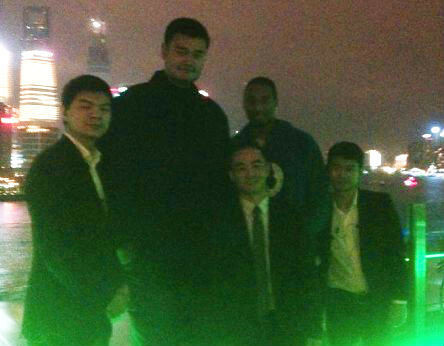 Yao Ming has been in Australia the past few days for an invitational basketball tournament involving his Shanghai MAXXIS Sharks. The games are being played in a very unique location — an outdoor basketball court on Cable Beach in a town called Broome. 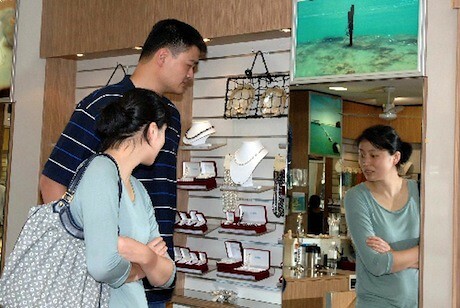 On Saturday, Yao and his wife Ye Li were able to get out and do some shopping in Broome, and Yao bought his wife some pearls. Click here for more photos of Yao and Ye Li shopping. Later that evening, Yao’s Sharks were thrashed by the NBL Perth Wildcats 66-23, the same margin of defeat they had last year against Perth (more info on the game here). 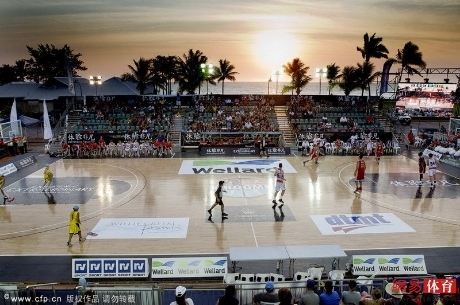 In the Sharks’ previous game at the Cable Beach Invitational Tournament, they were able to scrap out a 45-41 win against the Indonesia National Team. You are currently browsing the archives for the Shanghai Sharks category.